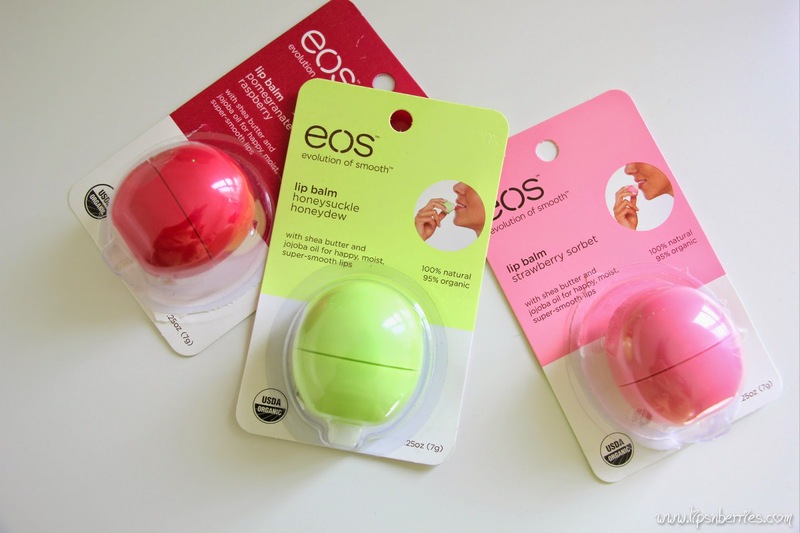 EOS Lip Balm Review! 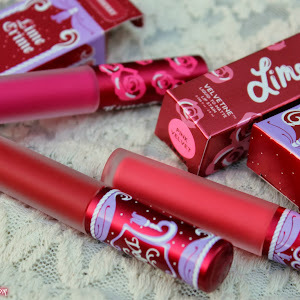 featuring Pomegrenate Raspberry, Honeysuckle Honeydew & Strawberry Sorbet ♥ | LIPS n BERRIES! If there's one collection that's never ending at my place, its the lip balms. I genuinely believe you can never have too many! There's one in each bag I own (just in case you know! ), in the car, at work and quite a few in every bathroom around the house. Does that say a thing or two about my lip balm addiction? 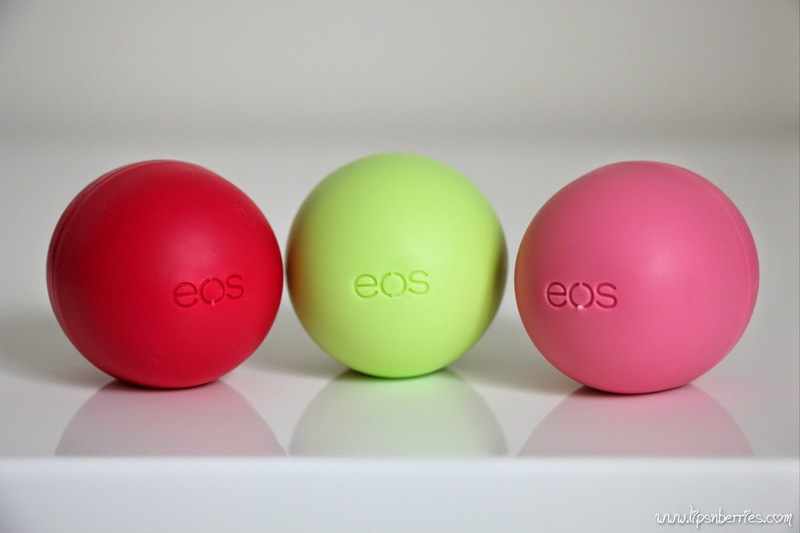 EOS- For moist, soft, sensationally smooth lips! 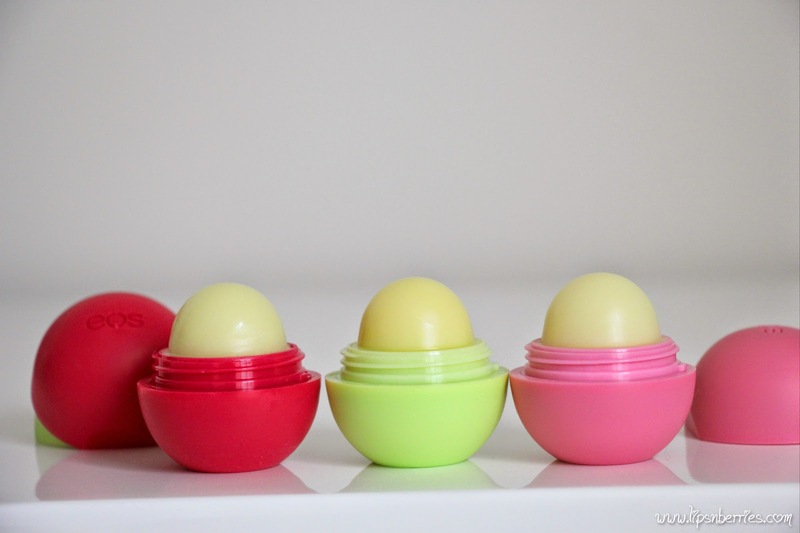 To add to the collection, I've added three EOS lip balms! Yes... Finally!!! 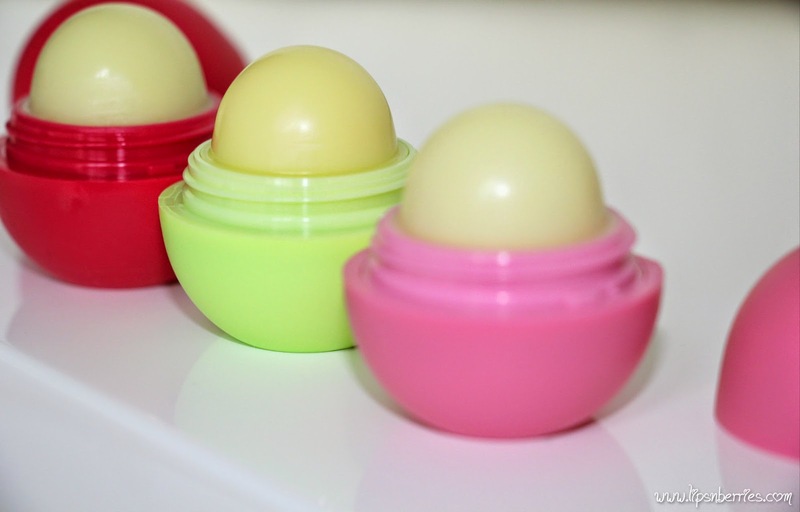 Made famous by Kim Kardashian, these uber cute eggs from Evolution of Smooth are all that a girl can want from a humble lip balm! There's so much hoohah about these balms, I just had to get one for myself and then was gobsmacked at how good they were and went on to buy two more! I seriously couldn't find any fault in these. It does sound like I'm totally smitten but you have to believe me ok? I have these in 3 variants out of the very many they make - Pomegranate Raspberry, Strawberry Sorbet & Honeysuckle Honeydew. On my wishlist - Coconut milk (coz I'm a coconut addict). What I like about these balms? - THE Packaging - like seriously what can beat this? A cute colored sphere! 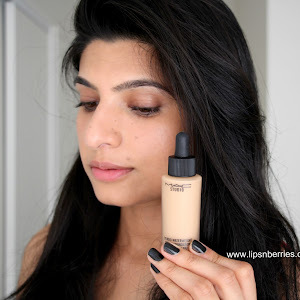 Easy on eyes, easy in makeup bag! - The Texture - smooth! Glides easy. - No color, fruity smell, tastes sweet (for real!). You have to train yourself to not lick it off your lips! - Aside from all the fluff, I'm actually surprised that I do not even feel the need to reapply this throughout my 8 hour work day. That includes multiple meals and I have dry lips. Note: My water intake is pretty good too! - I apply it 3 times a day- morning before work, evening after swimming/work out, night before bed. That's it! - And I can still feel it on my lips when I get up, after all the tossing & turning in bed all night and the same sweet taste too, about 8 hours later. That's long lasting hydration. - It's been holding well under lipsticks too. - The different flavors - I love that they come in so many variants to choose from. Just can't wait to try more of them. All of the ones I have taste sweet and fruity. 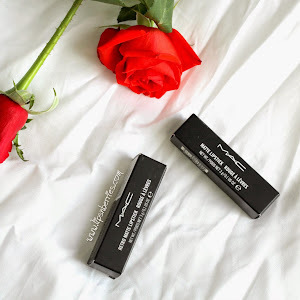 - Cruelty free. Yay! happy bunny. - 95% organic, 100% natural - That's no mean feat. - Nasties free! You know the usual suspects- petroleum, parabens & family. What I do not like about these? - Sweet taste - Making something that is non-edible taste so sweet isn't fair. What do you think? - Availability - I wish they were available easily, like in supermarkets you know? May be the scarce availability makes them more appealing & exotic! I say Maybe. So here's to my fav lip balm! Verdict: If you've been wondering what all the hype is about, I say get on the bandwagon. At $12 a pop, they pack a lot of punch. 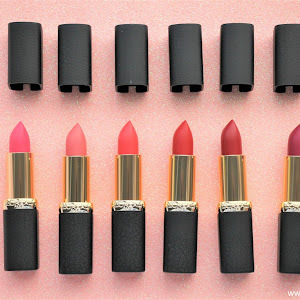 Cute packaging, Moisturizing ingredients (Vit E, Jojoba oil, Shea butter), cruelty free, 95% organic, 100% natural, these Evolution Of Smooth lip balms give you smooth, healthy moisturized lips, without having to re-apply every few hours. Aren't these cute? Have you tried them? Or would you like to try them? Leave a line in the comments section below!